Speech delivered at the Dec. 6, 2016 Honor Roll Assembly by Karen Suchenski. Good morning of Dec. 6, 2016, Stoneleigh community. Thank you, StuCo, so much for inviting me to speak today. Please know how honored and humbled I am to be in your company. Each of you brings honor to this community each day in countless ways that awe and inspire me. It is about truth—and the need to not ever stop seeking truth, however hard to grasp even what that is—that I speak to you today. So what is the truth to be found in this assembly ? Certainly this assembly honors those who have made the grade, so to speak, or have shown great mastery of academic content. * But it also honors our collective efforts in this school to seek truth. 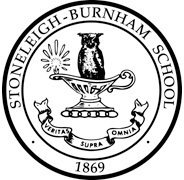 Today I will touch upon my thoughts about the “veritas supra omnia” or higher truths of Stoneleigh-Burnham and then try to connect that to the concept of truth in the world today. First, I want to share what I have fretted about since choosing my theme: how can my truth ever speak to the truth of any of you today in all your diversity and across time; how can I provide guidance on the imperative of and challenges of truth seeking in 2016? These are the moments when I turn to far greater minds. Perhaps you have heard of Henry David Thoreau? This Harvard grad wrote a lot about the nature of truth in a 19th century classic, Walden. In the end, Thoreau did guide me, for in Walden he also urges us all to speak our truths, acknowledging that we can only speak to each other from our particular truth and from our unique perspective. For what it is worth, then, I offer you today what I call my truth of youth in the long view and will share some key moments of truth from my high school experience in hopes they will speak to yours. The larger truth is that my high school days were not my glory days. High school involved falling down and getting up so many times that I know where my terror of roller coasters come from. I entered Stamford Catholic High School not of my own choosing, but out of the conviction of my parents that smaller would be better for me than a supersized public city high school. I went. I entered as a “late bloomer” with newly acquired turquoise framed glasses and a dental retainer. Within the first weeks of arrival, I was running cross-country and joining clubs, making friends. Within the next few weeks, I was having trouble breathing until I could not walk up three entrance steps. Even with a pediatrician for a dad, my health mysteriously deteriorated from well to congestive heart failure in the matter of one week of my early months of high school. I do not remember much of my ninth grade year with a new autoimmune diagnosis, except that I survived a month-long hospital stay, crashed a wheelchair in a race down a hallway, stayed nine months at home on bedrest, homeschooled by school district tutors, blew up some test tubes in my kitchen sink. Somehow, I grew well enough to return to school by March of spring term that year. I will never forget that first day back. I walked into my Geometry class to take a seat. A teacher re-introduced me, to which one of the boys in the back of the class exclaimed, “So you are the one we have been praying for all year.” I still cringe when I relay this. Somehow I survived that comment that day, and the disease process, and moved forward. To any of you who have had to miss school for health issues this term, I tell you life will get better again and there is honor in being patient with yourself as you heal. My high school of the 80s operated on starkly gender-coded roles and rituals for boys and girls. Boys were football players and girls were cheerleaders. I don’t recall much else mattered. By my junior year, I was ready to conform. I began to practice for the cheerleading tryouts. While making it past the first cut, I was devastated to learn that I was not chosen and remember uncontrollable sobbing to my mom at home. She listened politely, then handed me some tissues and said, “So what are you going to do instead?” The truth was I had never thought about that, but was forced into self-reflection by the outcome of my tryout. Perhaps you have had to shift course this year? Perhaps you did not get the grades, your leadership role, the athletic accomplishment you wanted or expected. I tell you in the long view that someday you may perceive your sense of loss not as inadequacy, but as a necessary prompt and opportunity for growth. Soon after, I decided to run for Student Council to make a difference in my school, brainstorming with friends, teachers and my parents on how to enter an election cycle already in progress. I took a personal approach and visited each homeroom in every wing of the 1,200 student school to campaign, something I discovered no one had tried before. To my amazement, I won that election. But I did not realize that I had not won the hearts of the entire student body. You see, Title IX, a federal gender anti-discrimination law in education, had been passed in 1972, but by the '80s had still not found its way into our high school athletic budget. I made addressing this gender inequity my focus. I remember working with members of student council to try to get the school to shift dollars from boys' sports — primarily football — to redress the lesser quality of the girls' locker room facility and to increase sports opportunities for girls. Our principal listened to our student petitions, and eventually upgraded the girls' locker room and supported the hiring of additional girls' coaches in basketball and volleyball. I was elated, until the day I walked past the complex of the boys' locker room just as two football players exited. Quarterback Kevin and linesman Timmy started walking near me and complaining loudly about their locker room conditions. “Why did you do this to us?” they turned to me and before I knew it one took one elbow, another took the second, and I was being lifted into one of their full length senior lockers outside the classroom of Mr. Ted O’Connor, the history teacher. Fortunately, Mr O’Connor happened to be inside his classroom. Now, he was the PB (Dr. Paul Bassett) type: you know, gravelly, erudite voice and a direct gaze that can stop you in your tracks. Intimidating but with a sparkle in the eye. Before I knew it, he had sent the two players scurrying to run 12 laps each around the football field and then he turned his stare on me, half crumpled in this locker. “Ms. Suchenski, what are you planning on doing in there?” He did not crack a smile, but recruited me that day for the Model UN for our school and helped me face not only some delinquent boys, but also those public speaking demons that were within me. So here are some facts of my high school path simply told. Had I started with them, you might have read my stories of my setbacks as anomalous bumps on an easy success path, the kind of academic success expected of a teacher. Full disclosure, I did win a prized speaking award at Georgetown Model UN, I was accepted early decision at Amherst College, graduated with high honors, and eventually received a scholarship to Yale University graduate school. But these “resume” facts belie the greater truths of my life. From the long view, the high school setbacks I related were as much a key to my story as any success. In truth, none of the stages of my life, however wonderful, have been without repeated roller coaster rides. And I realize that it is the hard won and hard-to-accept truths I have gained from the “downs” that have eventually moved me from complacency or indifference to search for greater truth of something beyond simple targets. What if I had won the cheerleading tryout, what would have happened? If we set our sights on anything less than a greater truth, we are still left searching for meaning in our lives. What if you live your whole life for one specific college acceptance? And then what if you don’t get in? But what if you do? The question is the same: Then what? Let me unpack Thoreau’s imagery a bit. The polestar is another name for the north star in the Western Hemisphere and, for enslaved people in the United States, running from a southern plantation – or for sailors without GPS back in the seafaring heyday — the vision of the north star was the key to their life chances and a source of their hope. Keeping the star in sight did not determine the speed of a sea journey or success of a freedom journey, but assured the rightness of their destination. Let me explain this in terms of my life: What I have learned is that when great things happen, when terrible things happen, the important thing is to just keep going and to find those truths by which to chart a steady course. External rewards are not truly what gives our lives meaning. In fact, if we don’t keep searching for the deeper truths, the founding truths, human truths, than the details of our lives don’t count for much. So I remind you what I said at the outset: This is an assembly for truth seekers, which we all are called to be! The truth is that each of you each day for the rest of your lives must do the hard work of truth seeking, and digging beyond surface understandings. It requires minds open and active and “an elasticity of imagination” Henry David Thoreau might add. If you google it: you will find that truthiness is a concept Colbert boasts he “pulled right of my kiester.” It refers to the act of asserting as “truth” what a person wishes to be true and claims IS true, just because it "feels right," without seeking evidence, or without rigorous intellectual examination. “Truthiness,” or, as Colbert jokes in his fabricated “dog Latin” term, “veritasiness,” flies in the face of substantiated findings. In closing then, what must we all do to be an honorable community truly bound by our motto for this coming term? First, I want you to know for those of you who are awarded honors today, I heartily congratulate you. I know, from like experiences, how hard you have worked to achieve them. For those of you who are not, as I just shared, I had some of those terms as well. In either case, do not let the focus on grades distract you from seeking and defending core truths of our humanity. Second, identify a focal point, or a polestar in Thoreau’s words, in your lives — an inspiration and reason for learning beyond the grade or individual project. Third, since the truth may not always be clear to us, be ever curious and ever vigilant. In metaphorical Thoreau-speak, “be awake” (with enough sleep each night) for the great and difficult task of discerning higher truths. Finally, be brave, for as my high school stories accentuate, the higher truth is neither easy to accept (rejection never is) nor, as I found on Student Council, easy to live by. To seek justice for girls of my school, truth required bravery to stand up to those who wished to deny it. In the world today, our school’s Latin credo reminds us that we must stand together to honor the truth, to speak to the truths of human rights and defend the dignity of all lives. I proudly stand with you in embrace of our motto. But I stand before you with a sense of urgency, too, as I say: “Please. Hold truth — and truth seeking — dear. Veritas Supra Omnia.” Thank you. * Author’s Note: I excised the paragraph below from my speech for the sake of time, but I believe it is important to understand a truth about the nature of our honors assembly. The first truth I had to face before writing my honors assembly address was that the SBS “student body” is no homogeneous entity. And as the members of StuCo reminded me, the meaning of the honor roll will vary by grade. Some of you are ninth graders revelling, or at least relieved, that you have transitioned from middle school to ninth grade expectations and have found success in a grading system new to you. An honor roll is a validation for Sophomores in a slightly different way; I have heard from many students that this is your hardest year and perhaps you have met challenges the grades reassure you growth. For Juniors, this fall term involved stepping into the waters of the IB, with its global expectations and for some long term exam preparation, Grades become benchmarks by which to chart a longer two year academic journey. For Seniors, college acceptances have started to roll in, based in part on those grades by which we set an honor roll, with you carrying knowledge of the continued importance of making the grade to retain the offer. And the ironic situational truth is that I am a teacher of seventh and eighth grade middle school students seated here whose progress is marked by observational narratives only, not grades.